In your busy life, the camera you usually have is the one in your pocket: Your phone! The photos you take with it are the easiest and most “real,” but they’re also the most difficult to get safely archived and online. Don’t let your best memories die in a digital graveyard! It’s simple to get them out of your phone and safely up into SmugMug where you can cherish them for years… no matter how many times you drop, dunk, or destroy your device. Today, we’re reminding you to do this often, so you’ll never be left grieving over the loss of your priceless mobile memories. If you have an iPhone or Android phone, it’s a no-brainer: use our Camera Awesome app. It’s a camera, editing suite, social hub, and backup service all in one, so you’ll never need to exit the app (unless you want to)! Download the SmugMug app. 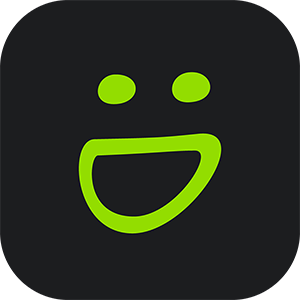 (Here's the Android version) Sign into your SmugMug account to get started. When you open the galleries on your site, tap the cloud icon in the upper right corner to add any photo from your photo library to the gallery you’re in. Easy! You can upload your mobile photos directly from your camera roll and other apps to SmugMug! This is an excellent way to quickly back up and store your on-the-go photos, which (let’s face it) are probably some of the most precious photos we take. So keep them safe! You’ll need to have the latest version of the free SmugMug App installed on your device. Simply hit the Share icon in your chosen app or from the camera roll and choose SmugMug from the list of available services. In some cases, you may have to look under the “more” option. Here's full details on our help page. Even without specific apps, your phone should still allow you to access your images manually, so you can upload them to your SmugMug website for safekeeping. We won’t go into specific steps for how to do this, since you’re probably already familiar with the process of plugging in your phone to your computer. You may even already use manufacturer’s software to download your photos to your computer and they may even offer to put a copy of your photos into existing free services that you use, like Dropbox or Facebook. This is a convenient option, but we recommend taking two more seconds to also drag your files into SmugMug, too. Why? 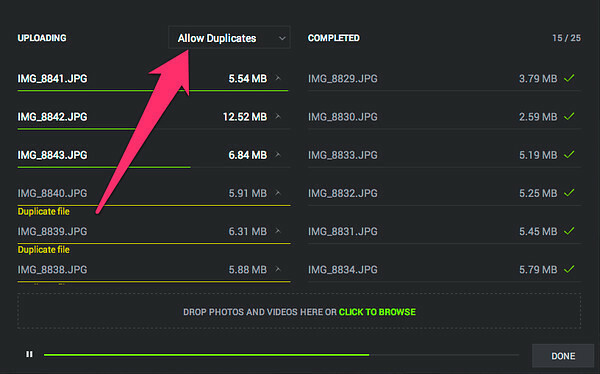 SmugMug’s the only service that’s completely unlimited to use, and we won’t squish or resize your images. Storage is already included in your subscription fee, and you can retrieve everything using the built-in backup feature. We’ve got several really great ways for getting your files into SmugMug; use the one that works best for you. We like using the default browser drag-and-drop window, with the option to automatically skip or allow duplicate files. If you've taken a photo and for some reason can't find it in your photo library, our Support Heroes suggest trying apps like iExplorer to find every file on your device. If you walk away remembering one thing…. Please download and back up your photos on a regular basis so if your phone should ever get lost, stolen, or go on the fritz, you won’t miss a single memory that you’ve recorded. We’ve all had this happen to us, and with SmugMug you can retrieve thousands of lost memories with a single click. Happy snapping. Don’t forget to back up!